Despite its small size, El Salvador has been a big target for American foreign policy over the past four decades. For much of its modern history, the country has had to endure the rein of military juntas and right-wing governments, most of whom have enjoyed strong support from Washington, DC. Beginning in the 1960s, US military advisers began schooling Salvadoran army officers in counterinsurgency tactics and sent many officers to the notorious School of the Americas at Fort Benning, Georgia. Human rights organizations and critics of US policy in Central America have pointed out that this military training helped infuse a brutal mentality within the Salvadoran military and those closely allied with it. From 1980 to 1992, El Salvador was ravaged by civil war between the US-backed conservative government and leftist guerillas. Since then, the country has enjoyed relative peace as the leftist rebels put down their weapons, joined in the electoral process and won seats in the national legislative body. However, the left wing has been unable to capture control of the presidency thanks to US efforts to prevent this from happening, according to organizations in Latin America. In March 2009, Salvadorans elected their first left-wing president, Mauricio Funes, who previously worked as a journalist and focused on revealing the corrupt habits of El Salvador’s previous presidents. Lay of the Land: El Salvador, the smallest mainland nation in the Western Hemisphere, occupies a southwestern corner of Central America and is bordered by Honduras and Guatemala. The mountains and the Pacific Ocean form its natural boundaries. The majority of the country is a large inland plateau at an elevation of 2,000 feet. Active volcanoes and crater lakes dot the lush countryside. Religions: Catholic 60.2%, Protestant 36.1%, Ethnoreligious 0.6%, Baha’i 0.4%, non-religious 1.4%. Ethnic Groups: Mestizo 90%, White 9%, Amerindian 1%. Languages: Spanish 89.4%, Lenca 0.6%, Kekchí 0.2%, Pipil. El Salvador was originally inhabited by the Pipils, descendants of the Aztecs and the Toltecs of Mexico, who had arrived in the 12th Century. In 1524, Pedro de Alvarado landed and carried out a series of military campaigns that conquered El Salvador for Spain. It remained under Spanish control until 1821 when El Salvador gained its independence and became part of the Mexican Empire for two years. In 1823, El Salvador joined the Central American Federation, where it struggled with Guatemala for control of the federation. After the federation broke apart in 1839, El Salvador had to deal with dictators of neighboring countries, such as Rafael Carrera and Justo Rufino Barrios of Guatemala and José Santos Zelaya of Nicaragua. The following century, dictators became a common problem for El Salvadoran politics. In 1931, Maximiliano Hernández Martínez took advantage of popular unrest over the collapse of coffee prices and led a coup that put him in control until 1944. He was followed by a series of rulers, most of whom were military dictators. Major Oscar Osorio ran for elections under the Revolutionary Party of Democratic Unification in 1950 and ended his term on September 14, 1956. During his term, the economy improved due to increased coffee and cotton prices. This economic boost continued under the rule of the next military ruler, Lt. Col. José María Lemus. He was overthrown on October 26, 1960 by a bloodless coup led by a military junta. Of the junta leaders, Lt. Col. Julio Adalberto Rivera was elected in 1962 under the National Conciliation Party (NCP). The NCP remained the ruling party for the next two terms under President Col. Fidel Sánchez Hernàndez, who served from 1967 to 1972, and President Arturo Armando Molina, who served from 1972 to 1977. Relations with Honduras deteriorated in the late 1960s due to immigrants disputes, leading to the outbreak of the four-day “Football War” in 1967 under President Sánchez. Although Salvadoran forces occupied a large territory in Honduras, the Organization of American States negotiated a ceasefire that resulted in a withdrawal of Salvadoran troops. However, it was not until 1980 that a peace treaty solved the border dispute concerning the Gulf of Fonseca. The last disputed border area was finally marked in 2006. In 1972, José Napoleón Duarte of the Christian Democratic Party (PDC) ran for president against the military’s candidate, Arturo Armando Molina. Duarte was denied victory by electoral fraud and sent into exile. Leftist groups called for reforms and began taking up arms to exert pressure on the military-controlled government. Paramilitary death squads began intimidating opponents of the government. By 1979, the country was torn by civil war. Leftist guerrillas grouped together under the Farabundo Martí National Liberation Front (FMLN). In 1979, a coup overthrew General Carlos Huberto Romero and brought to power a new military clique that allied itself with Duarte. The junta liberalized the political system, setting legislative elections for 1982. The junta nationalized banks and the coffee export trade, while launching an ambitious and controversial land-reform program. Attacked by both left and right, the junta was unable either to suppress left-wing guerrillas or to control its own security forces. In December 1980, Duarte was installed by the junta as president and a state of siege was proclaimed. Human rights atrocities expanded in number and severity. The Salvadoran Civil War was fueled by US support to the military government while France and Mexico recognized the FMLN. On March 24, 1980, Archbishop Óscar Romero was assassinated while celebrating mass. Pope Paul VI appointed Romero to be archbishop of San Salvador in 1977. During the civil war, Romero tried to bring attention to the poverty, social injustice, assassinations, and torture that plagued Salvadoran society. He also spoke out against US military aid to the Revolutionary Junta in fear of increasing injustice and repression in El Salvador. He was said to have been shot by members a death squad under orders from Roberto D’Aubuisson, the future founder of the ARENA (Alianza Republicana Nacionalista). In 2004, Álvaro Rafael Saravai, chief of security for D’Aubuisson, was charged with participating in Romero’s assassination and was ordered to pay $10 million. Romero’s death occurred on a day on which he delivered a sermon calling on Christians to stop repression and violation of human rights. It is estimated that at least 62,000 people died between October 1979 and April 1987, most of whom were civilian noncombatants murdered by death squads and government security forces. On March 28, 1982, the US funded elections in which Álavaro Alfredo Magaña Borja became interim president. The following year, a new draft constitution enforced civil rights, amongst other concerns, however the FMLN deemed the constitution to be weak. Despite a new constitution, excesses of human rights violations continued after the election in 1989 of President Alfredo Cristiani, leader of the right-wing ARENA party. As Cristiani came to office, many feared the worst, for ARENA had been tied to former candidate D'Aubuisson, an extreme anticommunist who had frequently been accused of plotting against the government and supporting the death squads. In 1991, however, the Cristiani government, with help from the United Nations, negotiated with the FMLN (the left-wing party Farabundo Marti National Liberation Front), and on January 16, 1992, the Chapultepec Peace Accords with the rebels was signed, ending the bloody 12-year civil war. The nine-month ceasefire set forth in the accords began on February 1, 1992, and has not yet been broken. The FMLN demobilized and participated in the postwar 1994 elections, which resulted in the presidency of Armando Calderón Sol, the ARENA candidate. The army was reined in and the terrorism and violence by both sides disappeared. A major program was put in place to transfer land (80% of which was concentrated in the hands of the wealthy) to former combatants. In 1998, Hurricane Mitch devastated the country, leaving 200 dead and over 30,000 homeless. The ARENA party remained in power with the election of Francisco Guillermo Flores Pérez to the presidency in 1999. But in March 2000, the FMLN won a majority of seats in the National Assembly elections, although not enough to control the legislature. Two earthquakes struck central El Salvador a month apart early in 2001, killing approximately a thousand people and leaving many more homeless. In March 2003, the FMLN again won the largest bloc of assembly seats but failed to win a majority. The presidential elections a year later resulted in an ARENA victory for Antonio Elías “Tony” Saca. Yet another earthquake struck in January 2005, killing nearly 700 people. An increase in gang-related violence in 2005 led to army patrols on the country’s streets. Legislative elections in March 2006 gave a plurality of the seats to ARENA, but it failed to win a majority and the FMLN was a close second. The government mounted a crackdown against criminal gangs in 2006 and later claimed to have uncovered an assassination plot against the president. In March 2009, left-wing presidential candidate Mauricio Funes won the presidential election with 51% of the popular vote. Funes, a former television journalist, represents a drastic change in the party as the party’s first presidential winner and non-guerrilla candidate. He ran a successful campaign by promising to ease the burden of the economic crisis of 2008 and maintain a positive relationship with the United States. He has said that he plans to crack down on big businesses that evade taxes because of government complacency and improve the poor social inequalities in the country. However, opposition leaders state that in his first year he has been unable to make steady progress on his corruption, economic, and security goals. Funes argues that he has created jobs and attracted foreign investment. In fact, on July 19, 2010, the World Bank agreed to provide a three part loan of $230 million to create jobs and foster economic recovery. In the 1960s, the United States helped the Salvadoran government organize a rural paramilitary force known as the Democratic Nationalist Organization (ORDEN) and the Salvadoran National Security Agency (ANSESAL). The Green Berets sent 10 counterinsurgency trainers to help instruct the Salvadoran military. Both ORDEN and ANSESAL were formed to combat communism. ORDEN not only indoctrinated peasants about the evils of the communist system, it also operated as an intelligence network. The paramilitary operation was also blamed for numerous human rights abuses. A spinoff of ORDEN, the White Hand (Mano Blanco), was later called “nothing less that the birth of the death squads” by a former US ambassador to El Salvador. In 1979, the Carter administration welcomed the October 1979 coup that brought to power a supposedly reformist military government that included Jose Duarte. The US sent an economic aid package that by 1980 was the largest among Western Hemisphere recipients. A small amount of military aid also was provided. US advisers contributed to the junta’s agrarian reform program, particularly the so-called Land to the Tiller decree of April 28, 1980, granting title to smallholders. US policy and influence in El Salvador was inconsistent from 1979 through 1981. It was driven by two conflicting motivations: Prevention of a communist takeover versus preservation of human rights. Both economic and military aid for the junta governments seemed to be intended to promote a centrist alternative to either a Marxist-led revolution or a conservative military regime. The rise of the leftists Sandinistas in Nicaragua increased the pressure on the United States to prevent a similar result in El Salvador. The Carter administration had established the promotion of human rights as a cornerstone of its foreign policy, particularly in Latin America. Like many Salvadorans, United States officials were frustrated by the inability of the junta governments to contain political violence. The December 1980 murder of four churchwomen produced a complete cutoff of US aid pending an investigation of the case. On January 4, 1981, two American land reform advisers from the American Institute for Free Labor Development (AIFLD) were gunned down along with a Salvadoran in the Sheraton Hotel in San Salvador. This action alarmed not only the White House but also Congress. On January 14, 1981, four days after leftist guerillas launched a big offensive, Carter announced the approval of $5 million in “nonlethal” military aid, followed by an additional $5 million four days later. The administration eventually restored military aid to El Salvador which established a trend that President Ronald Reagan would build on when he assumed office on January 20, 1981. The Reagan administration stressed the need to shore up El Salvador as a barrier against communist expansion in Central America. The State Department issued a special report on February 23, 1981, entitled “Communist Interference in El Salvador” that emphasized Nicaraguan, Cuban and Soviet support for the FMLN guerillas. The report was widely criticized in the American media and by members of Congress. Nevertheless, the Reagan administration succeeded in increasing substantially the levels of United States military and economic aid to El Salvador, first by executive order, then by legislative appropriation. Although Reagan downplayed the importance of human rights considerations, Congress voted in January 1982 to require certification by the White House every six months of Salvadoran progress in such areas as the curbing of abuses by the armed forces, the implementation of economic and political reforms (particularly agrarian reform), and the demonstration of a commitment to hold free elections with the participation of all political factions. The administration accepted the certification requirement and proceeded with a policy that emphasized economic maintenance in the face of guerrilla attacks on the country's infrastructure, military buildup to contain the insurgency, and low-key efforts in the human rights area. During the 1980s, US Army intelligence provided to Latin American military officers, including those in El Salvador, attending the US Army’s School of the Americas (SOA) manuals that advocated executions, torture, blackmail and other forms of coercion against insurgents and sanctioned the use of “fear, payment of bounties for enemy dead, beatings, false imprisonment, executions and the use of truth serum” to recruit and control informants. In 1993 the United Nations named El Salvadoran army officers who committed the worst atrocities of the civil war. Forty-five of the over 60 officers identified in the report, or nearly two-thirds, had been trained at the School of the Americas. Two SOA-trained Salvadoran officers were implicated in the assassination of Archbishop Romero. In all, the US gave $5 billion in economic and military aid to El Salvador during the 1980s. In January 2010, Salvadoran President Mauricio Funes formally apologized to the victims of the 1980-1992 civil war. He also acknowledged that the state committed “serious human rights violations and abuses of power.” He used the 18-year anniversary to announce the creation of commissions to offer “redress for the victims, search for children who went missing, and provide attention for those disabled.” Funes hoped that the gesture would dignify the victims, relieve pain, and strengthen efforts towards peace. Carlos Hernández: Born in Los Angeles, Hernández was the IBF Super Featherweight Champion and in 2003-2004. His parents are Salvadoran immigrants. Rosemary Casals: The former tennis player was born in San Francisco to Salvadoran immigrant parents. She won 112 doubles tournaments and entered the International Tennis Hall of Fame in 1996. Efren Ramirez: The actor has been nominated for the Teen Choice Awards in 2005 for his role as Pedro in Napoleon Dynamite (2004). His mother is a Salvadoran immigrant and gave birth to him in Los Angeles. Maurice Bernard: Known for his role in the soap opera General Hospital, he won the Daytime Emmy Award for an Outstanding Lead Actor in a Drama Series in 2003 for the soap. Bernard was born in Martinez, California, but his mother is from El Salvador. Markos Moulitsas: Moulitsas is a journalist who founded the Daily Kos and writes for The Hill and Newsweek. His mother is a Salvadoran immigrant while his father is a Greek immigrant. Christy Turlington: Turlington is known for modeling for Calvin Klein from 1987 to 2007. She was born in Walnut Creek, California, to a Salvadoran immigrant mother. Ana Sol Gutierrez: Gutierrez is serving her second term as a Democrat in the Maryland House of Delegates. She was born in El Salvador in 1942. Victor R. Ramirez: He is a Democratic member of the Maryland House of Delegates and was born in El Salvador in 1974. T-Bone: The rapper was born in San Francisco in 1973 to a Salvadoran mother and Nicaraguan father. He was nominated for the Rock Gospel Grammy Award in 2000 for his fourth album The Last Street Preacha. George Melendez Wright: He was born in San Francisco to a Salvadoran mother. He was a biologist whose wildlife studies are the basis today’s wildlife conservation in US National Parks. In 2006, the government of El Salvador implemented a free trade agreement (CAFTA) with the US. This move is indicative of the strong relations currently enjoyed between the two countries. The United States has been a key component of El Salvador’s post-civil war economic strategy. The US is El Salvador’s largest trading partner, importing roughly 67% of the country’s exports.US citizens own more factories in El Salvador’s free trade zones than nationals from any other country, controlling roughly 34% of all facilities. In addition to trade relations, El Salvador has sent troops to Iraq to support the United States’ occupation of the country. In March 2009, El Salvadorans went to the polls to elect a new president, and for the first time after two decades, a leftist is in control of the country. Mauricio Funes leads the FMLN (or Farabundo Martí National Liberation Front), the country’s socialist party that American policymakers have long been wary of. Funes is a former commentator for CNN International and is well known across El Salvador because of this television show, “The Interview with Mauricio Funes.” A frequent critic of government abuses, Funes has a reputation as a political crusader, and some compare him to the United States’ Barack Obama. Early in 2010, Funes visited President Barack Obama at the Oval Office. According to the 2000 US Census, 655,165 Salvadorans live in the US. Reliable figures for Salvadorans living in America are difficult to come by, considering the large number that fled El Salvador during the 1980s and entered the US illegally. The largest population of Salvadorans outside of San Salvador is in Los Angeles, though San Francisco, Chicago, Houston, Washington, DC, and Hempstead, Long Island all have sizable communities. Salvadorans have tended to stay close to family and friends in exile, forming strong communities to preserve language and culture. In 2006, 202,394 Americans visited El Salvador, 1.7% more than in 2005. Though the number of tourists to Central American country has stabilized in recent years, overall growth in tourism has been significant since 2002, when 140,878 Americans traveled to El Salvador. In 2009, 123,185 Salvadorans visited the US, down 10% from 2008. Less Salvadorans have come to America nearly every year since 2002, when 197,159 Salvadorans journeyed north. Salvadorans fled to the United States because of the civil wars that devastated the country in the 1980s. Between 1980 and 1990, Salvadoran immigrants jumped from 94,000 to 465,000. By 2008, Salvadoran immigrants topped 1.1 million, making it the sixth largest immigrant population in the US, behind Mexicans, Filipinos, Indians, Chinese, and Vietnamese. Nearly 40% of employed Salvadoran men work in construction, extraction, or transportation. Four out of every five Salvadoran immigrants in 2008 were adults of working age. With Salvadoran immigrants,came Salvadoran gang members. The Mara Salvatrucha Gang (MS-13) began forming in the 1980s during the civil war. The gang was among the most violent because many members had guerilla training. Many of its members have been deported back to El Salvador’s prisons. The gang grew in both the US and the Salvadoran prisons. MS-13 targets governments in Central America and conducts drug trade and criminal activity in the US. The US imported $1.8 billion worth of goods from El Salvador and exported $2.0 billion worth of goods in 2009. The largest US import from El Salvador, by far and away, is apparel and household goods made of cotton. About $885 million of this good was imported in 2009 down from $1.08 billion from the previous year. This is followed by apparel and household goods made of “other textiles”, about $424 million in 2009, down from $471 million from 2008. Third, green coffee is imported at $83 million, a decline from the 2008 figure of $121 million. A significant change in US coal imports from El Salvador occured between 2005, which saw no trade, to 2008, which spiked to $136.3 million, and finally to 2009, a decrease to $72.5 million. The net increase in coal production reflects the US’s overwhelming consumption of coal for electricity. Additionally, US imports of nonmonetary gold from El Salvador increased from $2.8 million in 2005 to $63.3 million in 2009 while “apparel and household goods-cotton” decreased from $1.1 billion to $884.8 million. El Salvador has been a great destination for American exports. Of the $2 billion in goods sent south in 2009, the top exports included cotton fiber cloth ($190 million), petroleum products ($120 million), manmade cloth, ($102 million), fuel oil ($99 million), corn ($84.2 million), and plastic materials ($84.1 million). An increase in US exports of fuel oil from $32.1 million in 2005 to $98.7 million in 2009 and of petroleum products from $31.9 million in 2005 to $119.7 million in 2009 is a result of a lack of fossil fuels in El Salvador needed for electricity. A decrease in US exports to El Salvador was seen with cotton fiber cloth, $284.8 million in 2005 to $189.7 million in 2009, and “apparel, household goods-textile”, $196.8 million in 2005 to $67 million in 2009. 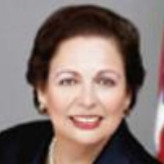 El Salvador will receive $36.2 million in aid from the US in FY2011. The largest recipient programs are Development Assistance ($26.5 million), Foreign Military Financing ($4.8 million), Global Health and Child Survival--USAID ($3.1 million), and International Military Education and Training ($1.8 million). El Salvador will also receive HIV/AIDS funding through the President’s Emergency Plan for AIDS Relief (PEPFAR) outside of the Foreign Operations Budget. The FY 2011 Request for Peace and Security is $6.6 million, which will mainly target street gang violence. This allows the US to directly train and equip El Salvador’s police and judiciary and indirectly help the Salvadoran military. The funding will also bolster the counter-narcotics efforts of the military. About $11.1 million of the 2011 FY Request will be directed towards health and education. In the health sector, the US hopes to improve health care in partnership with the Ministry of Health and other public and private organizations. With regards to education, the US aims to broaden access to basic education, improve secondary education, and create partnerships between US and Salvadoran universities. There is a $13.7 million request for FY2011 in the Economic Growth sector. The US hopes to uphold CAFTA and help create jobs. In order to improve technical skills of employees, the US strives to train workers. Additionally, funding will focus on conserving watersheds and protecting biodiversity. In November 2006, El Salvador signed a five-year, $461 million compact with the Millennium Challenge Corporation to stimulate the economy by investing in infrastructure and providing basic necessities to the impoverished northern part of the country. El Salvador's Ambassador to the U.S.
Rubén Zamora presented his credentials as El Salvador’s ambassador to the United States to President Barack Obama on April 15, 2013. For Zamora, the moment may have seemed ironic; 30 years earlier, he was prohibited from even entering the country. Zamora was born November 9, 1942, in San Salvador, the capital of El Salvador. He was in seminary for a while, but studied law at the University of El Salvador and later received a Master’s degree in political science from the University of Essex in England. In the early 1970s, he was a member of the San Salvador council, working the mayor’s office. In 1979, after a coup toppled a right-wing president, Zamora, as a member of a center-left group, was briefly part of the group that assumed power. However, right-wing factions took control of the government in early 1980, forcing out Zamora and assassinating his brother Mario, who was also in the government. Rubén Zamora then fled El Salvador, staying in exile for seven years. During his time out of the country, spent in Nicaragua and Mexico, Zamora was often a spokesman for the rebels fighting for control of El Salvador, whose government was backed by U.S. President Ronald Reagan. Zamora was blocked by the Reagan State Department from entering the United States during this period. When finally peace talks resulted in an amnesty in 1987, Zamora returned to El Salvador, wearing a bulletproof vest. In 1989, his house was bombed, but no one was hurt. In 1991, peace talks resumed and a truce was declared. Zamora won a seat in the national assembly and was named one of its vice presidents, posts he held until 1994. He was also a member of the Salvadoran peace commission. Zamora ran for president in 1994, the first election since the peace accords were signed. He was backed by the center-left CD-FMLN coalition. He lost to Armando Calderon Sol of the right-leaning ARENA party. Zamora ran unsuccessfully for president again in 1999. For the next 10 years, Zamora worked in the opposition to the government, getting local candidates elected and taking his case to lecture audiences abroad. In 2009, FMLN candidate Mauricio Funes was elected president. Zamora was named ambassador to India, where he remained until being named to the Washington post in 2013. Zamora and his wife Ester have five children. El Salvador's Embassy Web Site in the U.S.